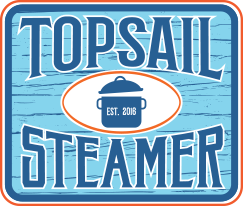 Online ordering menu for TOPSAIL STEAMER - WRIGHTSVILLE BEACH. Welcome to Topsail Steamer! We serve our customers with fresh, delicious seafood! Come try our Topsail Clam Bake Bay Bucket, Low Country Shrimp Bay Bucket, or Oysters! We are located off of Causeway Dr. not to far from the Motts Channel. View our menu and order online today.